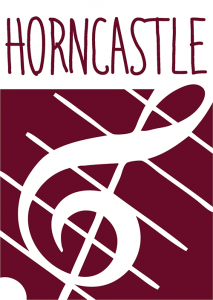 Horncastle Community Choir sing together on Monday nights at Horncastle Community Centre from 7.30 – 9.30pm. The choir is based on simple but effective principles: everyone is encouraged and supported to sing, and everyone is learning to be a better singer. We don’t judge, audition or criticise singing in any way, but celebrate what our voices can do and how we can make them stronger and more confident. Our repertoire includes lots of well-known songs, 20th century standards and classics, as well as choruses, well known songs and sacred pieces that have stood the test of time. We sing from word sheets, sometimes using music notation to help everyone get confident with “dots” and the songs are supported by sound files so you can listen at home or in the car. If you want a bit of extra support, you can have free one-to-one lessons before choir practice on a Monday evening. Some members of the choir perform together – sometimes just as Horncastle Community Choir and sometimes singing with other choirs. But, performing is only one aspect of the choir – no-one performs unless they want to. You’ll always be encouraged, but never expected! Performing is always enjoyable and stress-free; and we don’t sing in competitions or places where people want to judge or criticise singing. Performances are varied and include community and charity events, in churches, on street corners and across Lincolnshire. We sing for fun, fellowship, for health and because we like singing. We’re a group of friendly singers who support each other and have fun. Come and join us, without any obligation or pressure. For details of forthcoming performances, please check the events page. To book the choir for your concert, event or festival, please get in touch.